Engraving. The ultimate way to personalise your special jewellery. This custom of inscribing romantic poetry onto wedding rings began in medieval Europe. In more recent times couples around the world are choosing to engrave special & personal messages onto their engagement & wedding rings. 1. 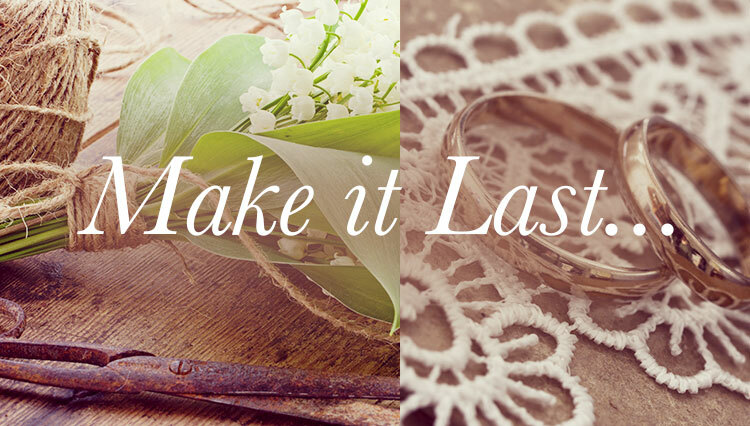 Make it personal, things like the title of your first dance, a nickname or a part of your wedding vows. 2. Make it romantic, phrases like “Always & Forever” “Truly, Madly, Deeply” and “My First, My Only” are clear winners. 3. Make it unique, we’ve had a couple of phrases in other languages like “Ti amo per sempre” (I’ll love you forever in Italian) “Amor Vincit Omnia” (Love conquers all things in Latin) and “Je t'aime” (I love you in French) – they really do stand out from the others. 4. Make it classic, options like your name in initials, special dates and words like “Forever” “Yours “Eternity” are popular choices. 6. Make it readable, it’s important you and your partner are able to read the engraving – so be sure to pick a readable font and the right size. Palace Script is generally recommended for font size 2.5mm and above, whereas Times New Roman and Arial are more suitable for smaller font sizes. Times New Roman looks great in italics too! 7. Make it memorable, when your engraving is linked to a special date / time / location or even just a phrase which takes you back to that special moment. Re-live that memory everyday! 8. Make it short, remember that word limit in university? It’s time to use that skill again; engraving is best when it’s short, simple and sentimental. 9. Make it timeless, stray away from trendy jokes or phrases that will go out of style very quickly. 10. And lastly, make sure you have the correct spelling and the right ring size before engraving! When to engrave? How to engrave? Why engrave? Engagements and weddings are the perfect opportunities to engrave your jewellery. We would advise you to opt for laser engraving; this is a clean and precise method. There are two main reasons for engraving: firstly it is a romantic gesture and secondly engraving can make the rings extremely personal. Remember it’s never to late to engrave your jewellery, if you’re ready to engrave click here to find out more or call our expert consultants on 0800 2707 606.